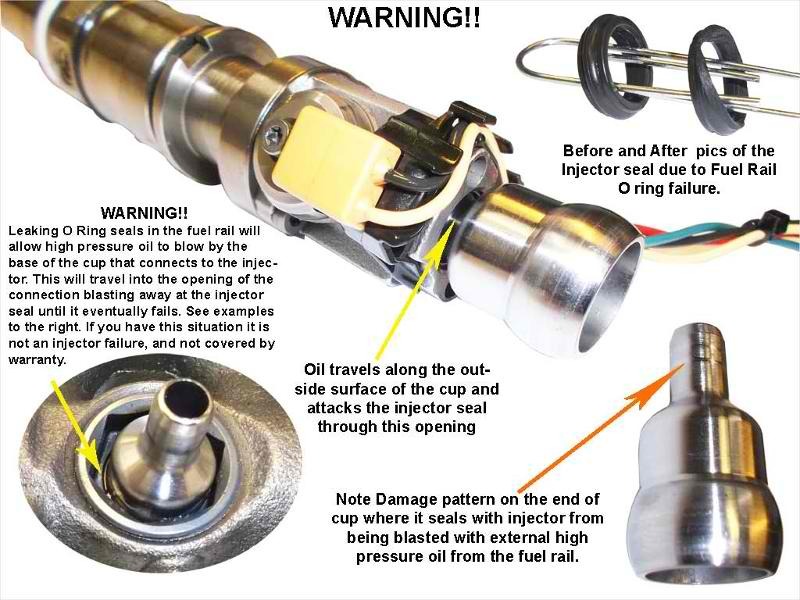 Are you experiencing repeat failure of the high pressure oil inlet o-ring on 6.0L injectors? The often-overlooked cause of this problem is the ball tube o-ring in the high pressure oil rail. 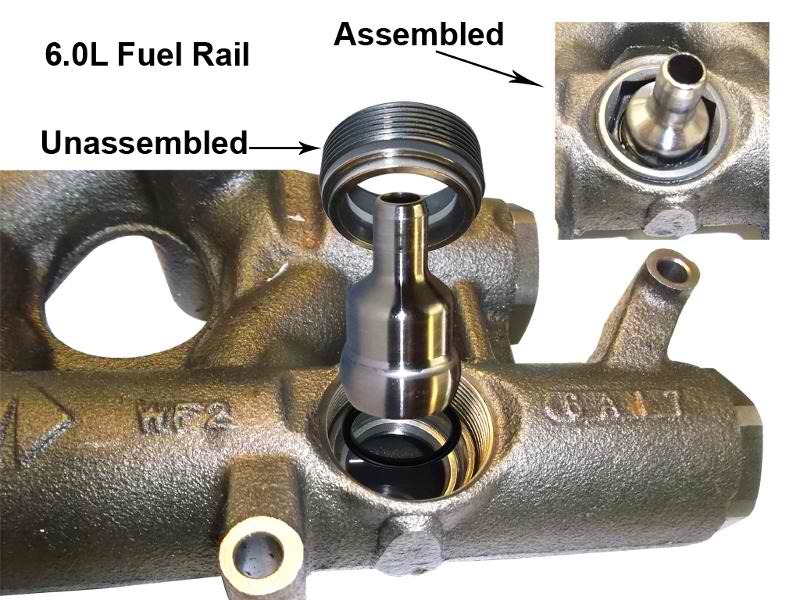 If close examination of the failed injector seal indicates that it was eroded from the top to the bottom, then the root cause is in the high pressure oil rail. Until recently, this rail was not a serviceable part and required replacement as an assembly at great expense. We now have the parts and tools available to correctly perform this repair and prevent costly comebacks. Note that if your injector high pressure oil inlet seals have failed you do NOT have to replace the injectors - see our 6.0L Powerstroke Diesel Injector Seal Kit instead. Our ball tube orings are made from a higher temperature Viton material to prevent repeat failure. Our ball tube removal tool is significantly beefier than most other tools found on the market to withstand the extreme forces sometimes required to loosen the retaining nuts. 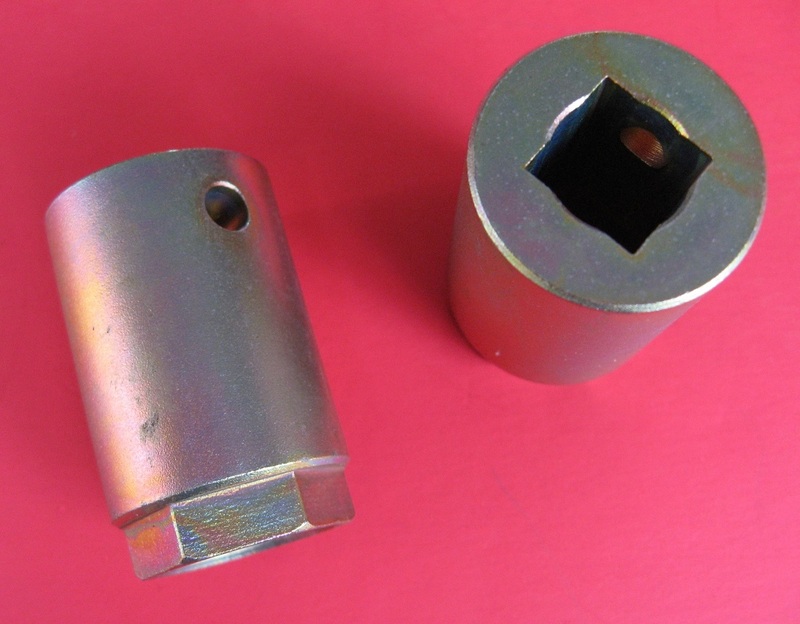 One of the key features is that it fits directly onto a 1/2 inch drive tool - no socket required. (Many competitive tools require a 23mm socket which is an unusual size not included in many socket sets.) Eliminating the extra looseness between a socket and the tool itself makes impact tools much more effective.